"This is what I believe to be true: You have to do everything you can, and if you stay positive, you have a shot at a silver lining." There's no better way to kick off Silver Screen Surprises than with that quote from "Silver Linings Playbook" and a review of the film itself. As I walked out of the packed New Year's Eve screening of "Silver Linings Playbook" and into the chilly night air, the person next to me described what we just saw as "perfect." I think he's right. As the film begins, Pat (Bradley Cooper) is being released from a mental treatment facility after eight months, the reasons for which will become clear as the story progresses. 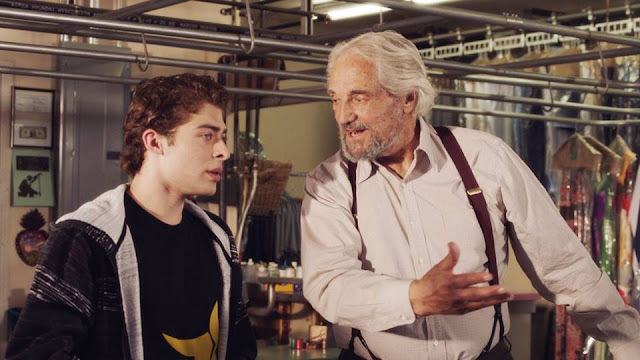 His house, job, and marriage are all gone, and he is forced to move back in with his parents, Pat Sr. and Delores (played by Robert De Niro and Jacki Weaver). It doesn't take long for Pat's issues to manifest themselves in a variety of hilarious, sad ways. Shortly thereafter, he meets Tiffany (Jennifer Lawrence), a young woman with psychological problems of her own. That's the setup for one of the most charming, touching, and – yes – funniest and just about perfect cinematic experiences of the year. Anyone not familiar with Bradley Cooper's pre-"Hangover" output will be surprised at what a versatile and talented actor he is. This is a character that's about as far away from "The Hangover's" cocky Phil as possible. It's raw, dramatic, and filled to the brim with pain. Even in such a competitive Oscar year, Cooper deserves to be on the ballot for Best Actor. Jennifer Lawrence, who is no stranger to the Oscars, continues her streak of dazzling performances. Despite being years younger than her costars, her screen presence every bit as powerful. Spitting out memorable comeback after memorable comeback to Cooper, De Niro, and others, her commanding character is one you won't soon forget. But the real surprise is Robert De Niro. At one point, Cooper's character says, "I'm my best self today, and I think she's her best self, and that's a good thing." A heavyweight actor in the 1970s, '80s, and '90s, De Niro hasn't been his "best self" on screen since then. That finally changes with "Silver Linings Playbook." The De Niro we all love is back! As it turns out, Pat Sr. has more in common with his son than just an appreciation for the Philadelphia Eagles football team. De Niro is a hoot as his character obsesses over envelopes in his study and the "juju" surrounding his beloved ballgames. It's his best role in many years. Jacki Weaver is rock solid as his wife, and familiar faces Chris Tucker and Julia Stiles round out the supporting cast. Of all of the smaller roles, the highlight is undoubtedly Anupam Kher, who plays Cooper's counselor, Dr. Cliff Patel. 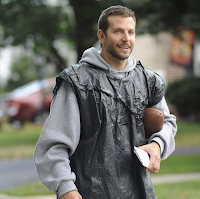 Written and directed by David O'Russell, it is easy to compare "Silver Linings Playbook" to his previous film, "The Fighter." Both are about families, relationships, and sports. But "Playbook" is far richer and more rewarding, with deeper characters tapping into a wider variety of emotions. At both their best and worst selves, these people – and the viewers along with them – experience love, laughter, tears, and everything in-between. A film as magical as "Silver Linings Playbook" represents the movies at its best (self).